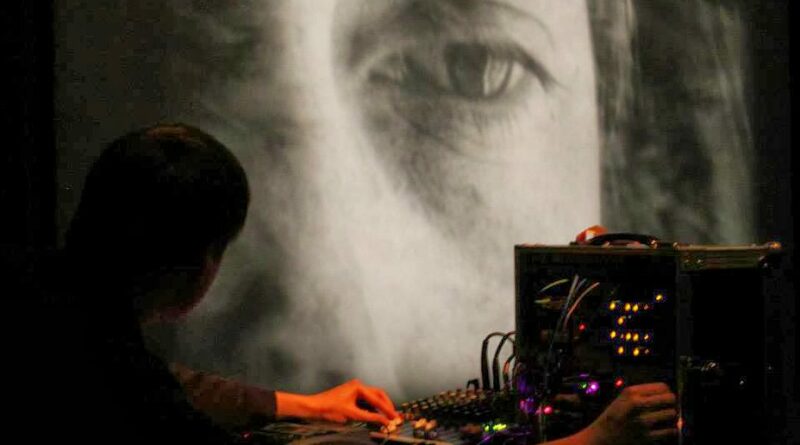 IX Tab is a transmitter of psychedelic electronica. A signposter of alternative art-histories, theorising the what-might-have-beens of the 20th century war-swept avant-garde. A conjurer of dreaming mind-states. And, perhaps most importantly, the creator of some weird and beautiful music. Fallout Shelter Disks is a feature that asks artists for a list of the music they would take down into a bunker should the world end, along with a book and a luxury item. Any resemblances to a certain BBC Radio 4 programme are purely coincidental. Now, with the seas glowing with weird lights amid reports of a billion fish beaching themselves, let’s descend into the earth to talk about IX Tab’s end-of the-world catastrophe selections and his own music. ‘Other than the title, which is clearly on the button, there’s something really strange about this album and it’s kept dragging me back to it. It’s hard to explain, but I feel like it sounds different every time I listen to it, like the tone has shifted somehow so the lyrics now mean something else; the words don’t seem to stick with her intentions, they flit around like sprites. A lot of the music is fairly conventional but even here there are stark tonal shifts that make it seem like you’re hearing it from the wrong angle, somehow. It seems suffused with a strange light, as well, as if she’s not so much singing or saying as breaking out in words, like a fever or a rash. Ears For Eyes: Could you cope with the isolation in the fallout shelter? EFE: Would you remain creative? EFE: The bunker is a great venue for psychic(k) explorations, just you and your thoughts; would you try to escape the circumstances, through your Spacemen 3 pick or the psilocybes? IX Tab: ‘Well, I tend not to be interested in drugs that escape the world, I’ve always been more interested in making it more colourful, in exploring it, in seeing how far it can be twisted. I’m fundamentally an optimist so escape from anything seems like heading in the wrong direction; how about embracing everything, even isolation? EFE: Could you create a new world down there like the protagonist in J.G.Ballard‘s The Enormous Space? EFE: Are there any themes running through your albums? It seems to me, they’re partly about how reality isn’t all it seems. I feel like the narrator in I M Wh U Mk Ov M, beings dancing out of bushes as I listen. The three albums form a very loose trilogy, but they each have their own individual themes. EFE: Your albums are full of information. The booklets revealing the layers of influence and thought beneath each track, the album cover to The World is Not Where We Are an alternative Sergeant Peppers menagerie. How do you shepherd all this? Your notebooks are surely bursting. EFE: You say Spacemen 3 made adult lullabies. Your music on The World is Not Where We Are sounds like it’s a step beyond that, sounds for the already asleep. Dream modifiers. There seems to be much more drift on this one. Still very weird, but peacefully so. Was it a conscious intention to make an album with less confusion, less twitchiness? Everything flows together like a sleep cycle. EFE: If IX Tab is partly a mission to create Love’s Secret Domain in your own language, are you getting there? What makes Coil so special? So other? EFE: The author of Pond, Claire-Louise Bennett, has said that her stories try to escape ‘anthropocentric parochialism‘. Reaching out to the world around us. Trying to touch the things in themselves. Is your music similarly searching? The voices in The Ministry of Ontological Insecurity, your collaboration with Hoofus, don’t believe in themselves. Is this a first step to believing in things extra to ourselves? EFE: You believe that oscillation is a good system for learning: between old and new, science and nature. Is this a key to your music making? The flicking between the purely electronic and the human voice. Bird song and alien machine noises. EFE: If you emerged from the shelter after a number of years to find a band of cultists obsessed with your music awaiting you and your leadership, what society would you build with them? IX Tab: ‘People would be encouraged to be open about their uncertainties regarding their self, their situation; seems to me a lot of the troubles of the world are because people aren’t really sure of themselves and those insecurities leak through into blind obedience, conformity, easy choices, pack behaviour. People are scared, but mostly of themselves and that leads to all the fucked ways of thinking: racism, sexism, homophobia, xenophobia etc etc. I think a society where people could mess with their identities a little, play with their own minds and get encouragement for doing so, would be a good start. No one can be certain about how to live or how to be – we should be utterly suspicious of the verb ‘to be’ – so I think a general understanding of misunderstanding would be a good start.